On Tuesday, February 24 I went to Volkel airbase without any knowledge of what I was about to see. 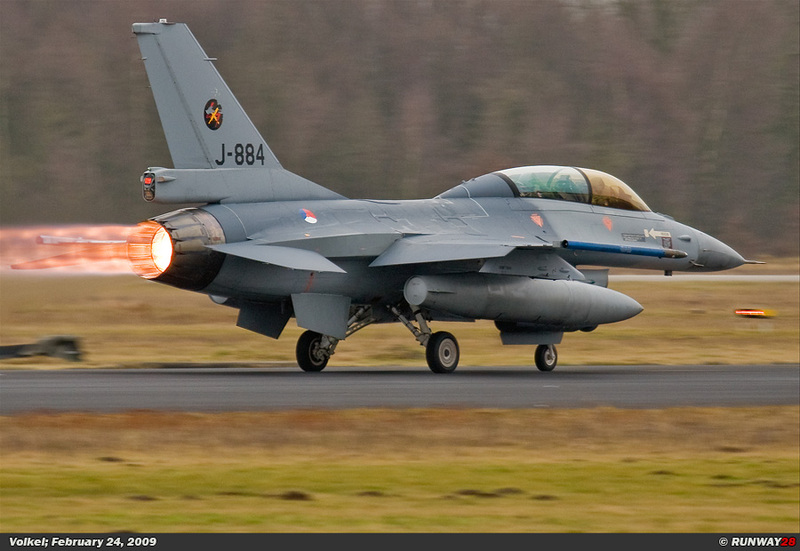 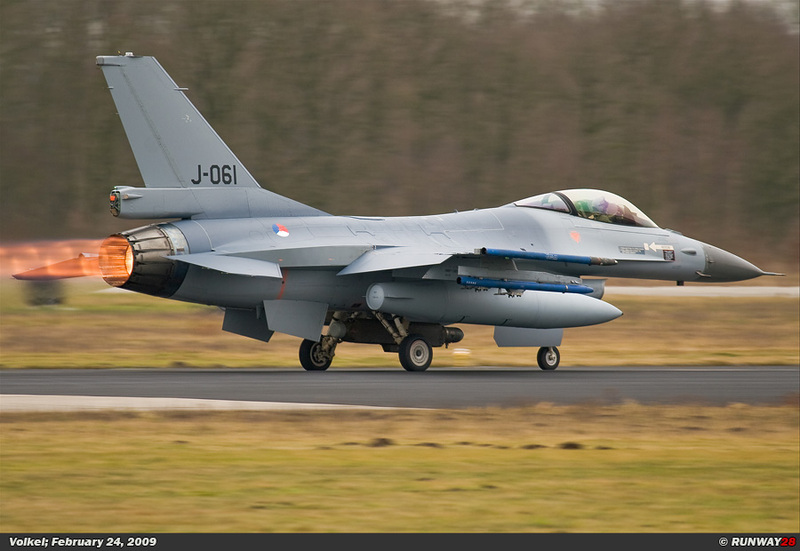 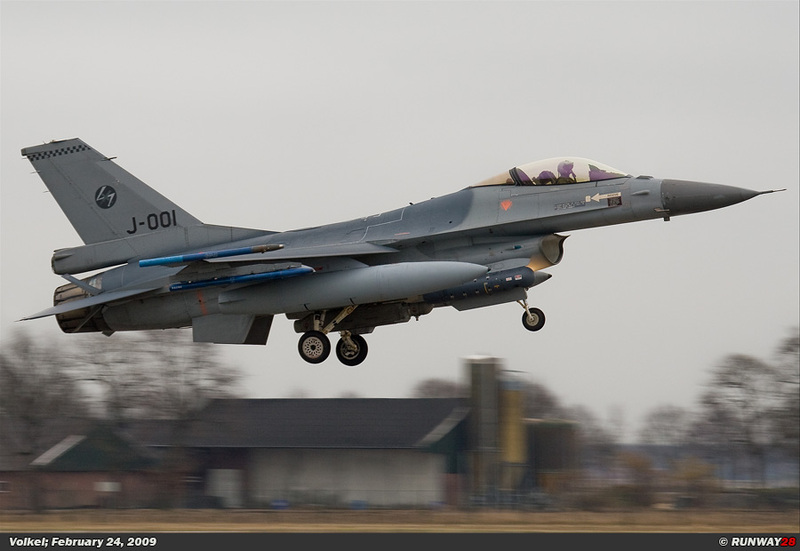 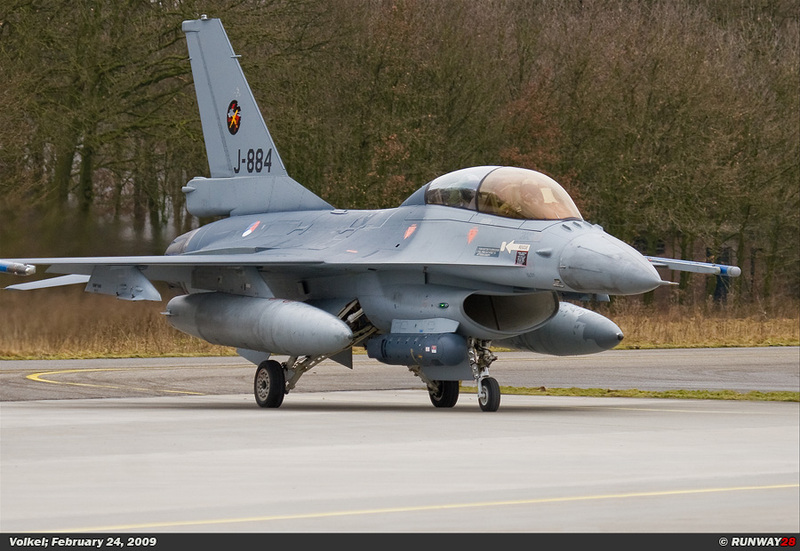 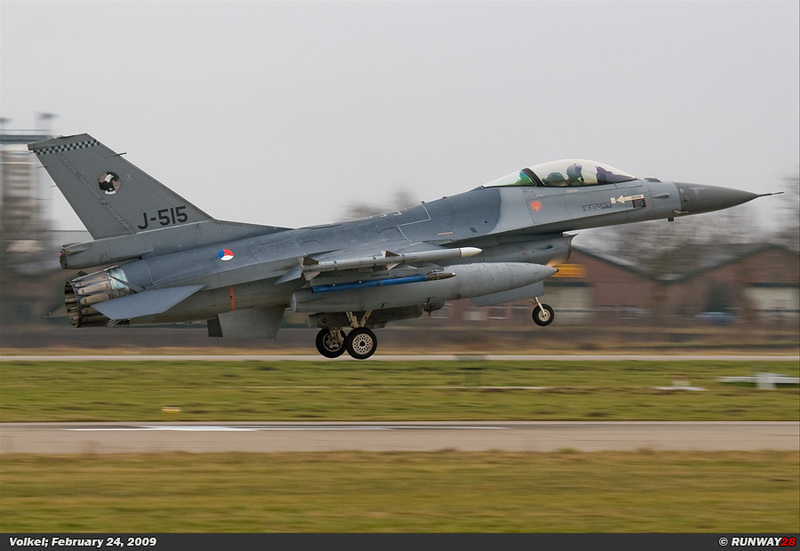 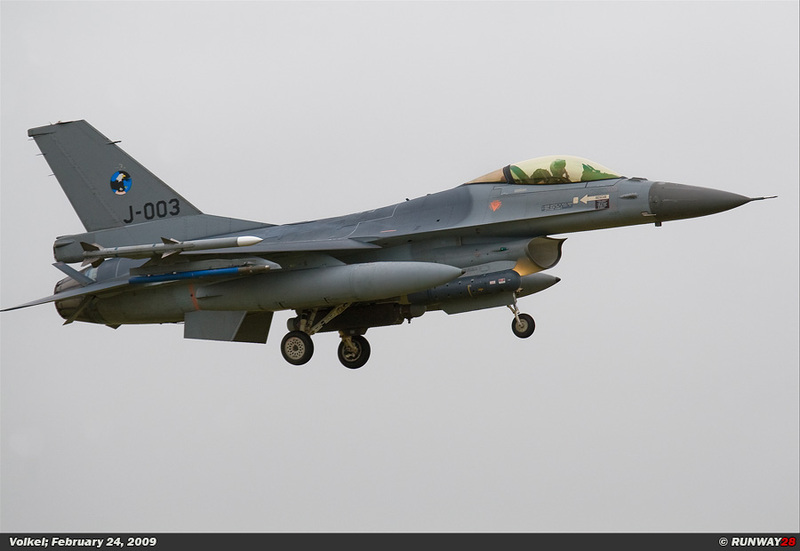 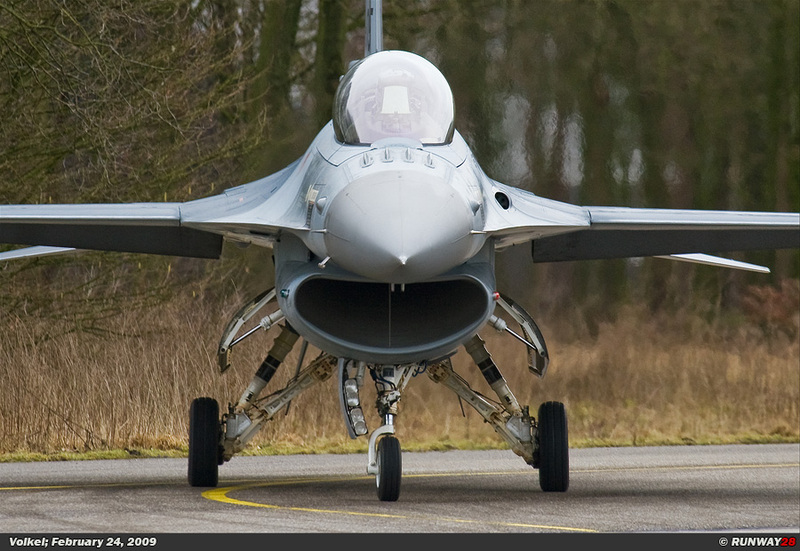 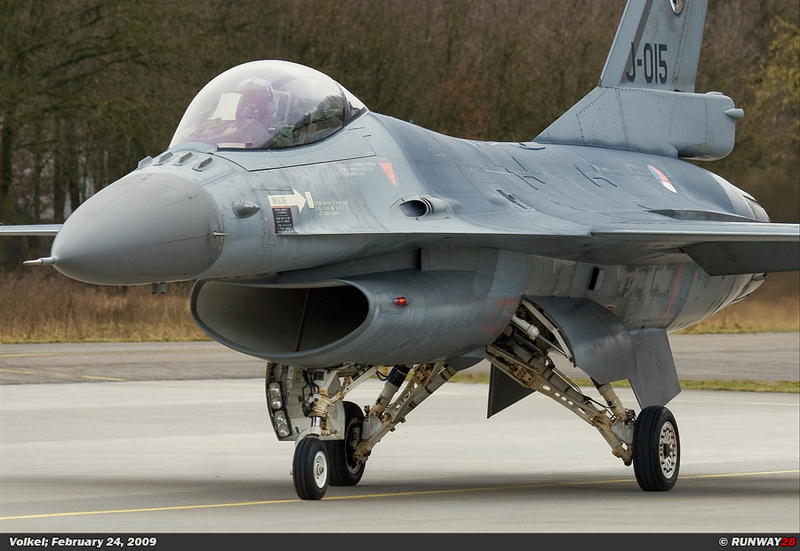 My goal was to make photographs of the F-16 fighter jets of the Royal Netherlands Air Force. 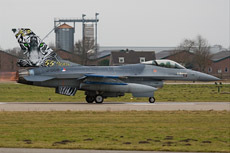 Volkel airbase is together with the Frisian airbase Leeuwarden home base of the Dutch F-16 fleet. 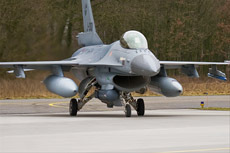 Volkel airbase was founded by the Germans during the Second World War. 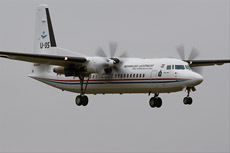 In 1940 the Germans began with the construction of an airport in Odiliapeel. 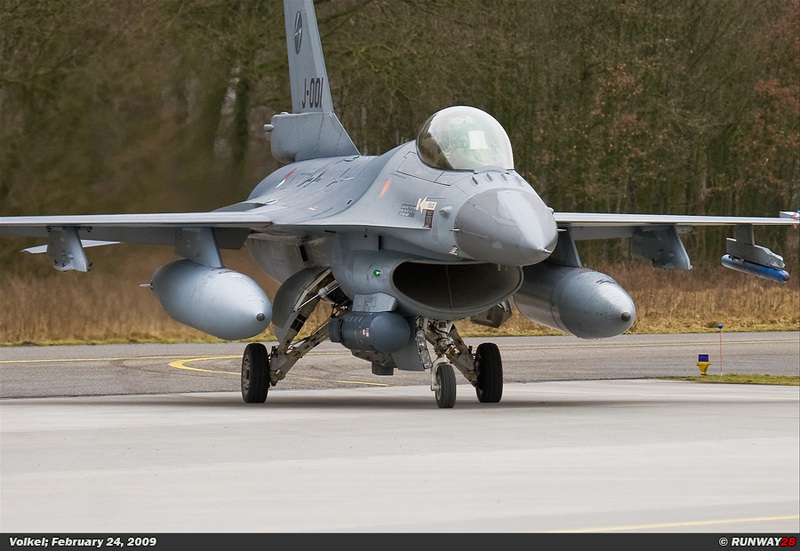 It was a "nachtlandeplatz" which is German for night landing strip for the fighter aircraft of the German Luftwaffe. 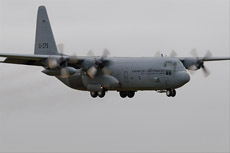 The location was strategic to the south side of the large Dutch rivers. 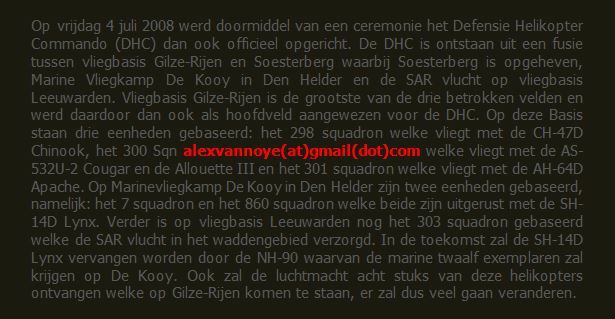 Allied bombers flew often at night to the Ruhr Gebied in Germany and were using during night flights Dutch rivers as orientation point. 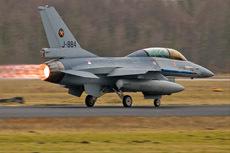 The field was therefore also frequently the target of British and American bombing. Today, the former Starfighter base of the Royal Netherlands Air Force is currently the home base of the Dutch F-16 fleet. Volkel is together with the Frisian Leeuwarden one of the two MOB's (Main Operating Base) of the Dutch Air Force. 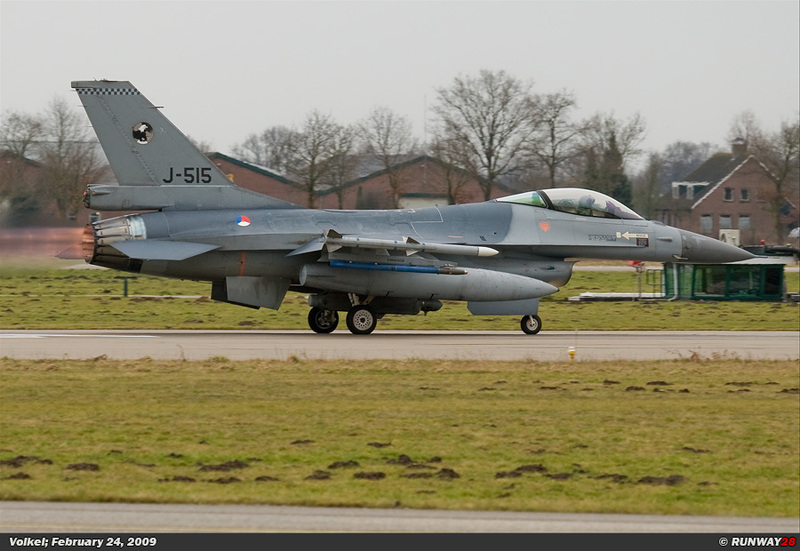 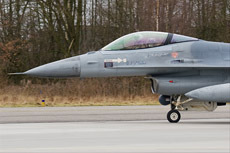 The base houses up to three of the five F-16 squadrons which currently are based in the Netherlands. 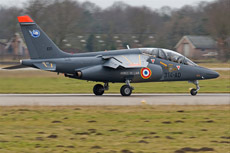 No 311 squadron nicknamed "Skido" and no 312 squadron nicknamed 'Bonzo' are active since 1952 and are based in here from the beginning. No 313 squadron nicknamed "Tiger" is based at Volkel since 2007, and came from the nowadays closed Twenthe. 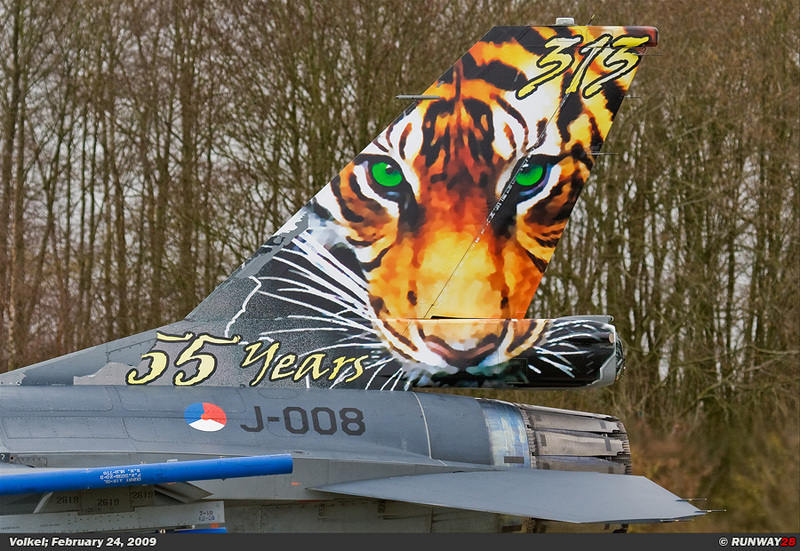 No 313 squadron was founded in 1953 at Volkel and was also been based at Woensdrecht and Twenthe in this period. No 306 photo reconnaissance squadron was active at Volkel for many years. 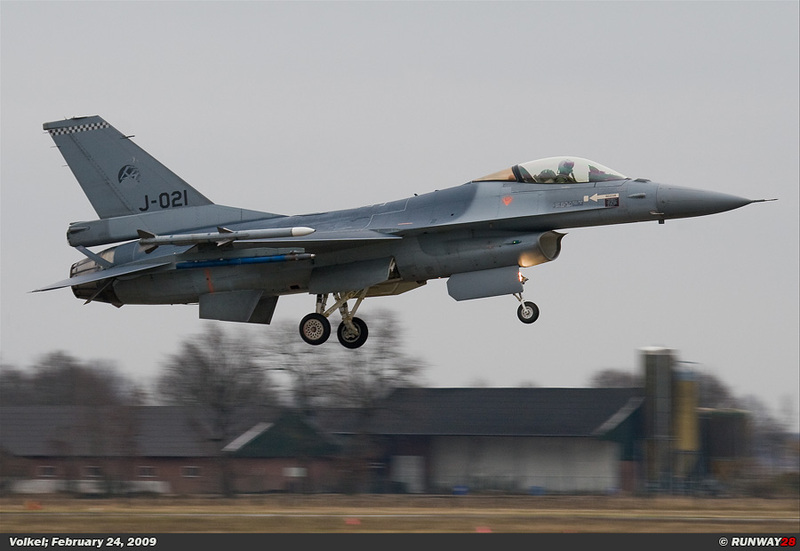 But with the arrival of no 313 sqn, they moved to Springfield Ohio where it is nowadays a part of the Dutch training detachment. 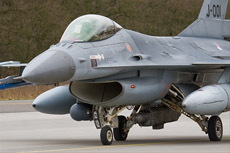 After more than one hour, the first two Vipers came in and returned to Volkel. 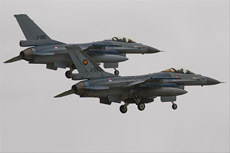 The two planes were flying in a tight formation and the pilots landed the aircraft smoothly on the runway 24 right. 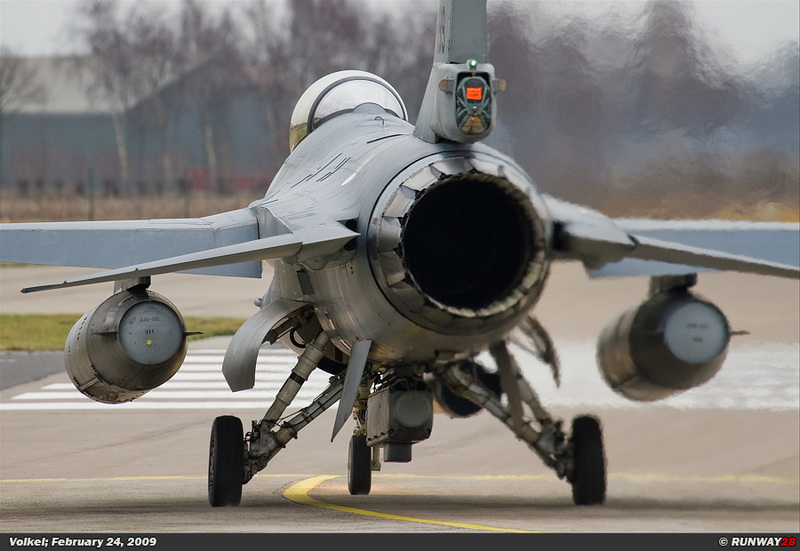 It was a beautiful sight and it provided some nice shots. 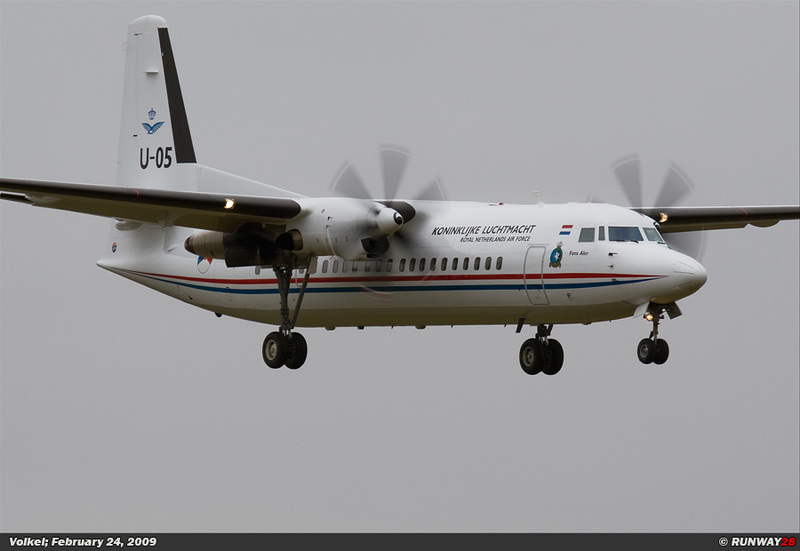 After landing of those Vipers there was a Fokker 50 from Eindhoven in the circuit; it kept us busy until the next batch of Vipers would return. 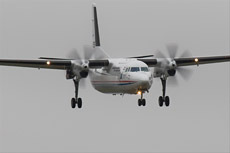 A half hour behind the Fokker 50 also the last seven Vipers checked in for final approach; the landing sequence could start. 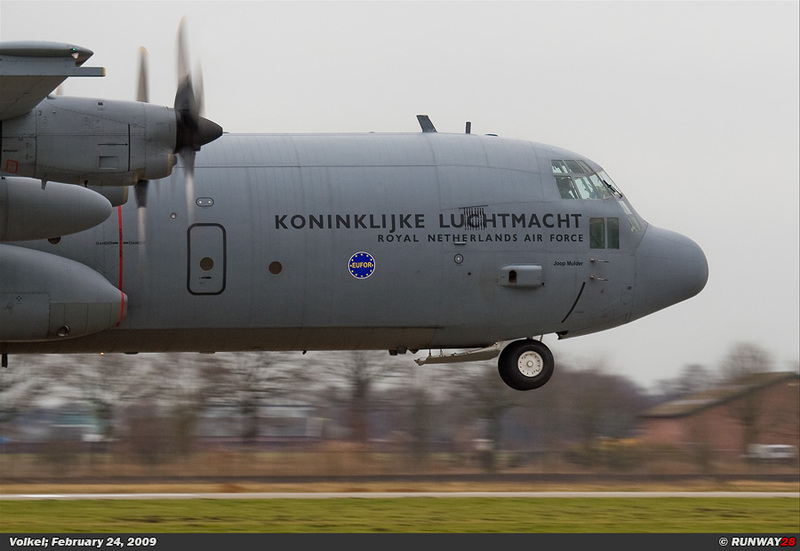 Finally during the morning flight we were surprised by a Dutch Hercules from Eindhoven; it made a touch and go two times before it left. 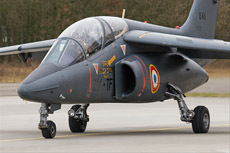 After lunch at the beginning of the afternoon suddenly we were awakened with the news that a French aircraft was contacting Volkel for an approach. 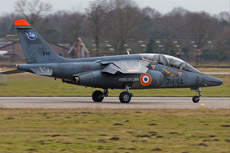 I went as fast as possible to the fence and a few minutes later a French Alpha-Jet appeared at the horizon. 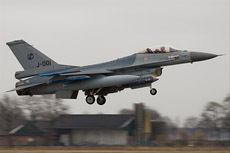 It was very difficult to take decent pictures of this one because of the grey weather. 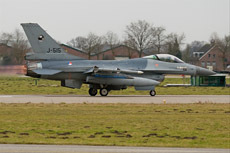 Meanwhile, the first six F-16 for the afternoon flight were already waiting at the holding point of runway 24. 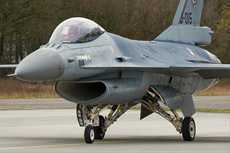 Among these 6 Vipers was the J-008; it contained the painted "tigers" tail of 55 years 313 sqn. 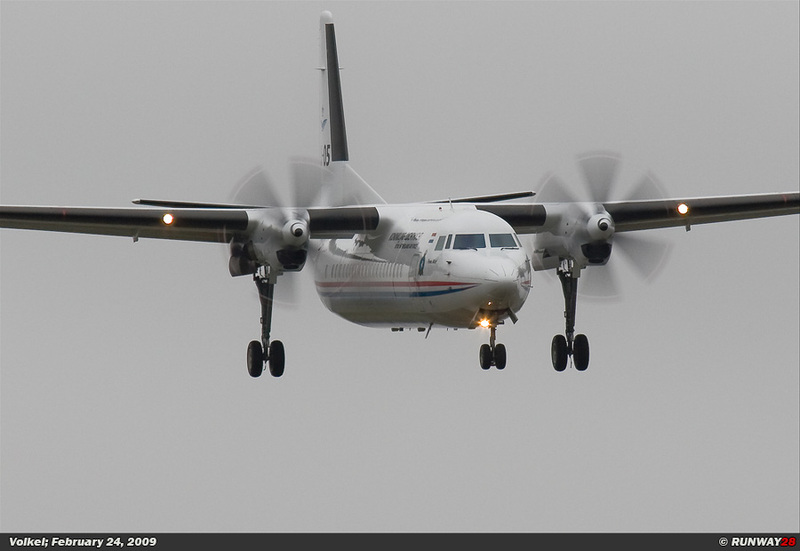 This aircraft was one of my main goals of today's trip. 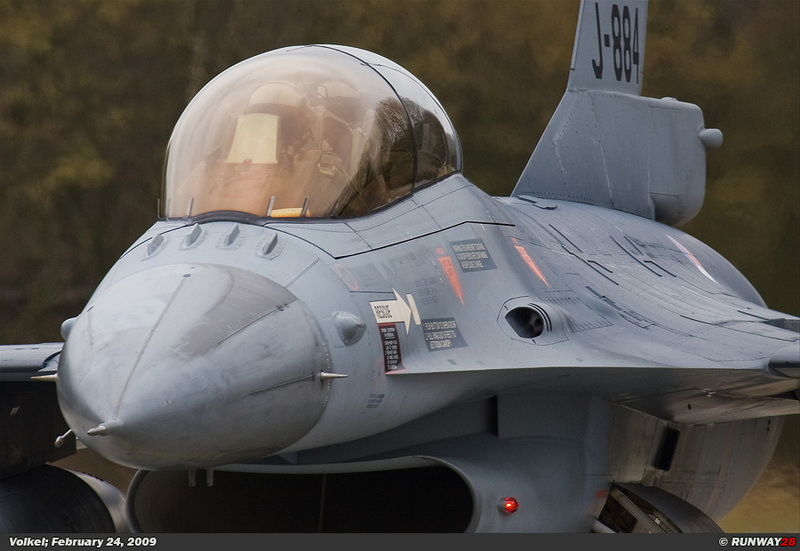 Lucky me that it happened right in front of me. 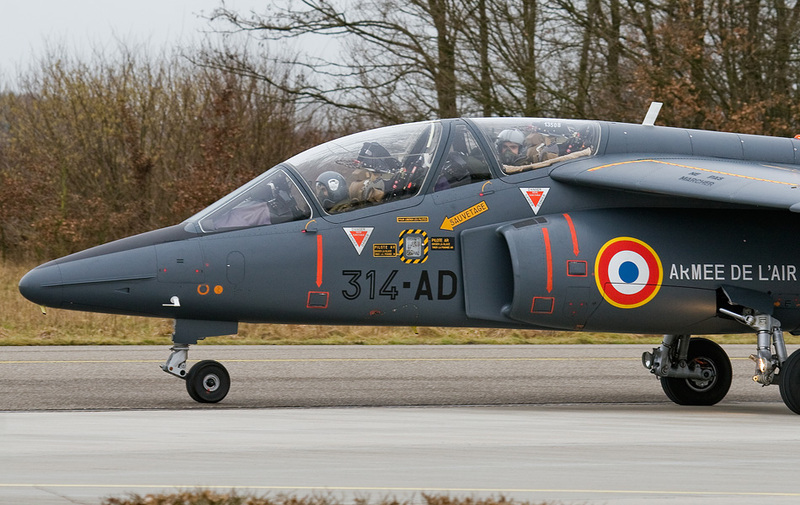 Then the message came in on the scanner that another Alpha-Jet would come in. It became a very unexpected an interesting afternoon. 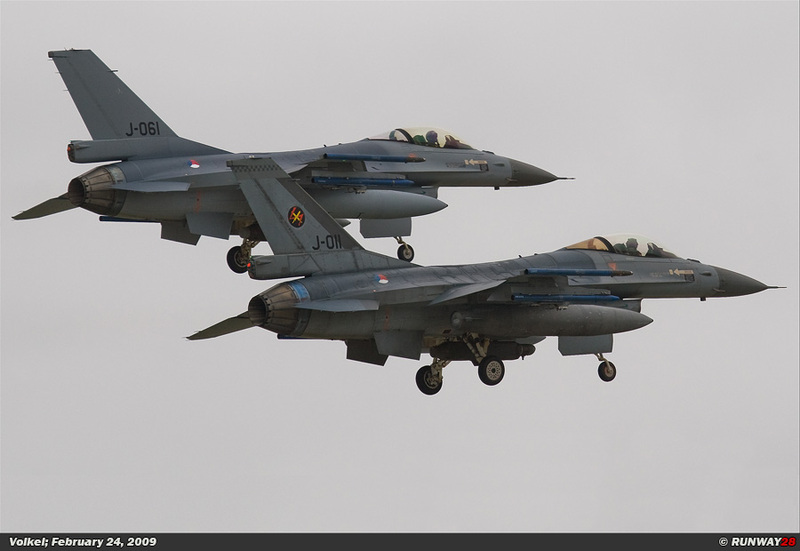 After the Alpha Jet was landed two other F-16 took off; this would be the last two F-16's departing for today. 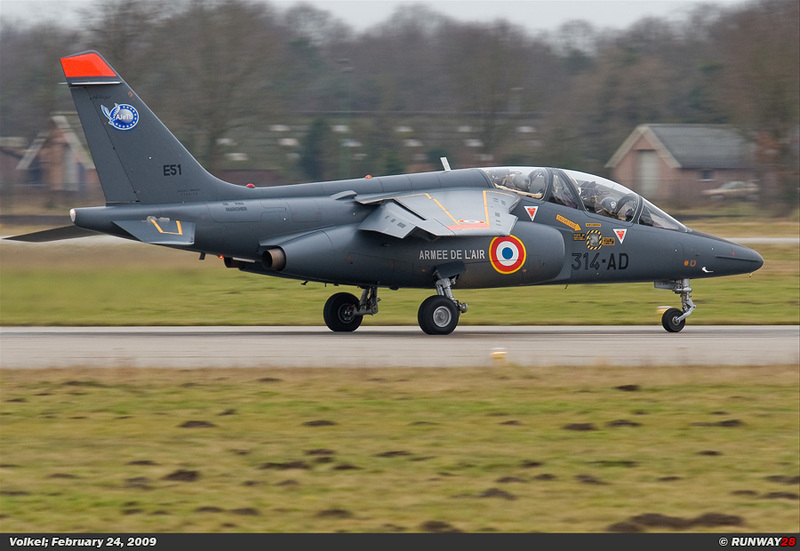 To finish the foreign activity; there was also a third Alpha-Jet inbound. 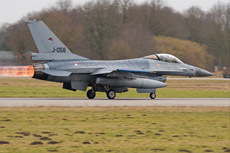 All three Alpha-Jets made today at Volkel a fuel stop before they would continue their journey inbound Wittmundhafen in Germany and finally Skydstrup in Denmark. 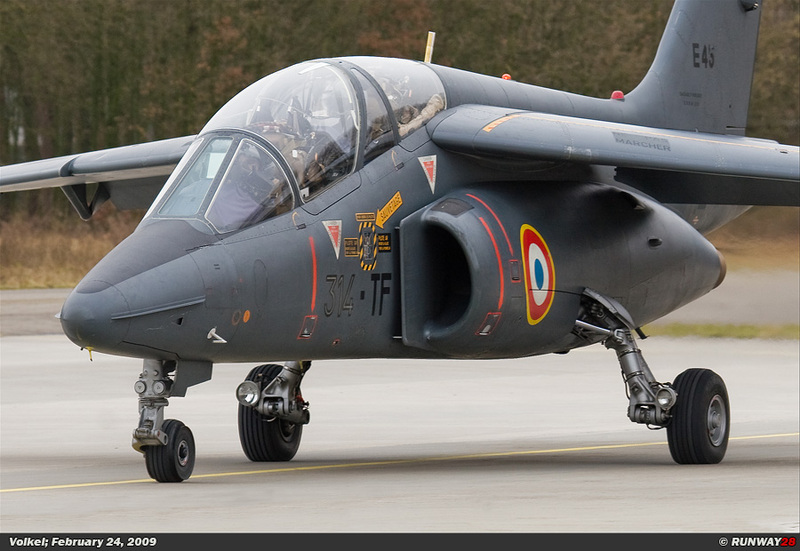 The Alpha-Jet pilots were students who made a navigation trip trough Western Europe. 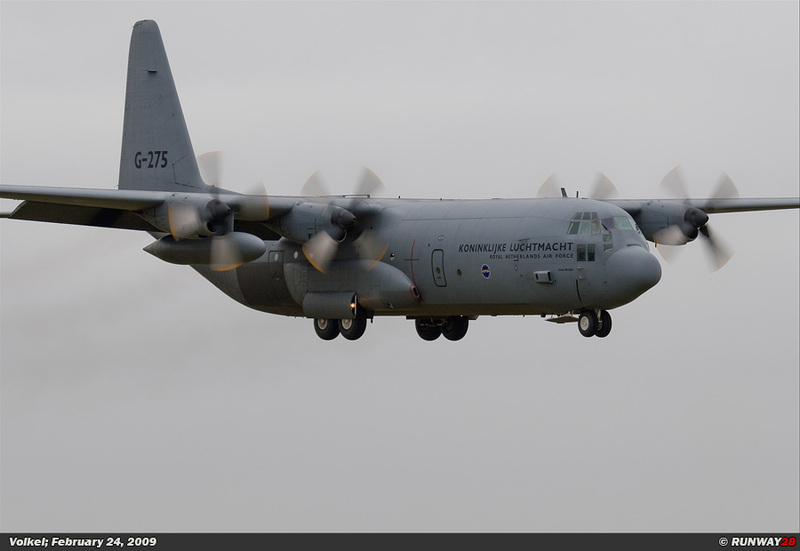 Between the F-16 flights in the afternoon, the same Hercules appeared as in the morning. 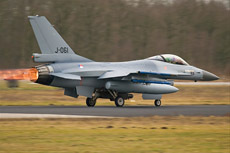 This time it made three times a touch and go of which one on the parallel runway. 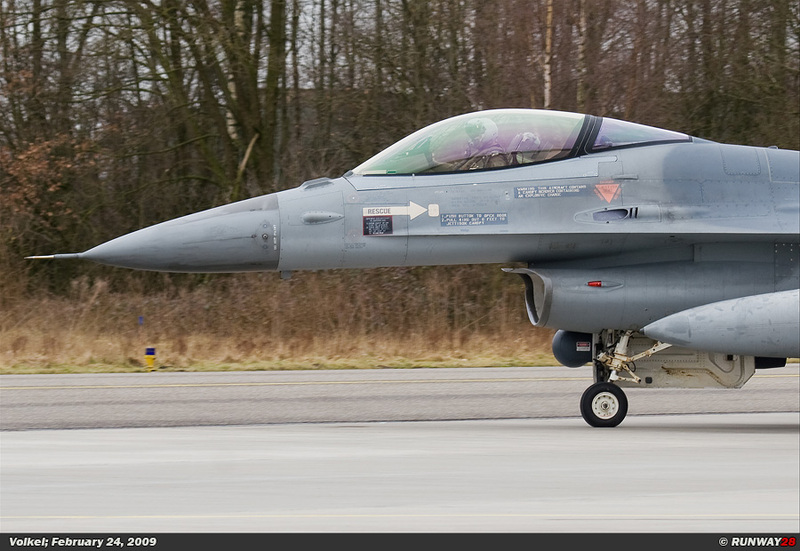 After a hour the first two Vipers were back for landing at Volkel. 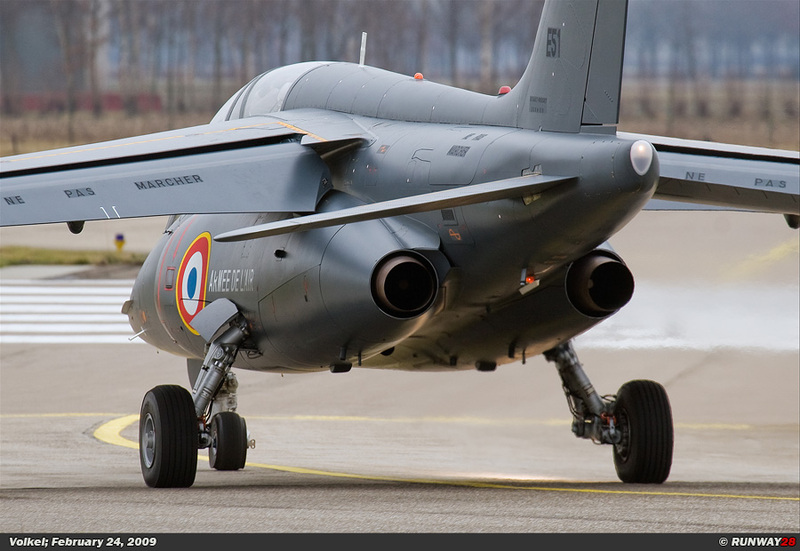 In the meanwhile the French Alpha-Jets had started their engines; they could taxi out on each moment from now on. 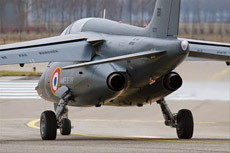 After ten minutes these small jet trainers appeared at the holding point right in front of us. 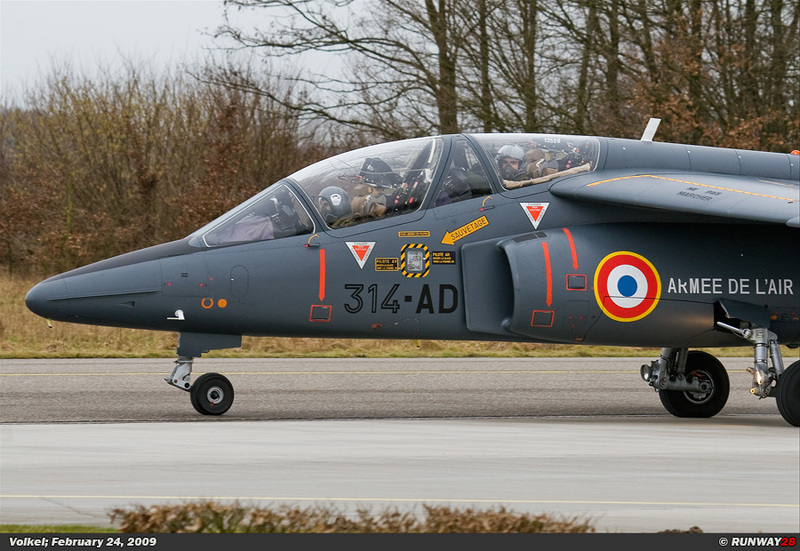 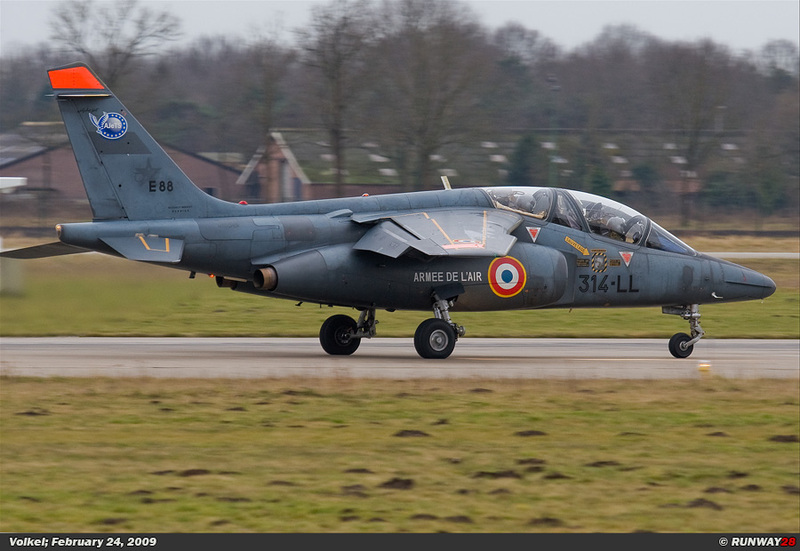 All three Alpha Jets came from the French base Tours in the middle of France. 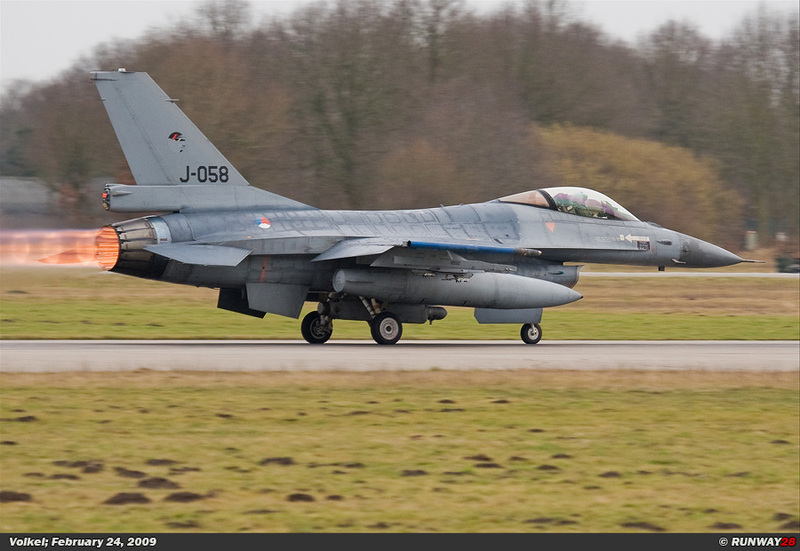 The Three Alpha-Jets had to hold short before entering the runway because two Dutch F-16's came in for landing. After that the three French Alpha-Jets went airborne and they continued their navigation trip inbound Wittmundhafen Germany. 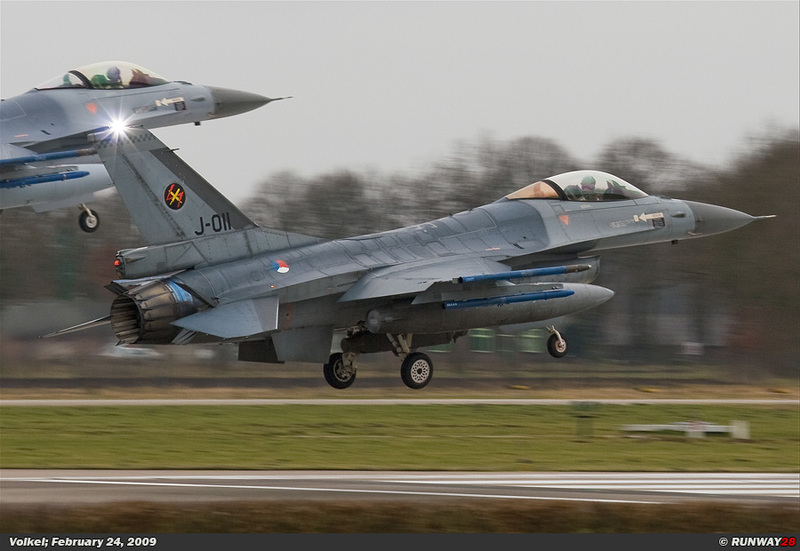 Shortly after the departure of the French, the remaining F-16's checked in again for final approach. 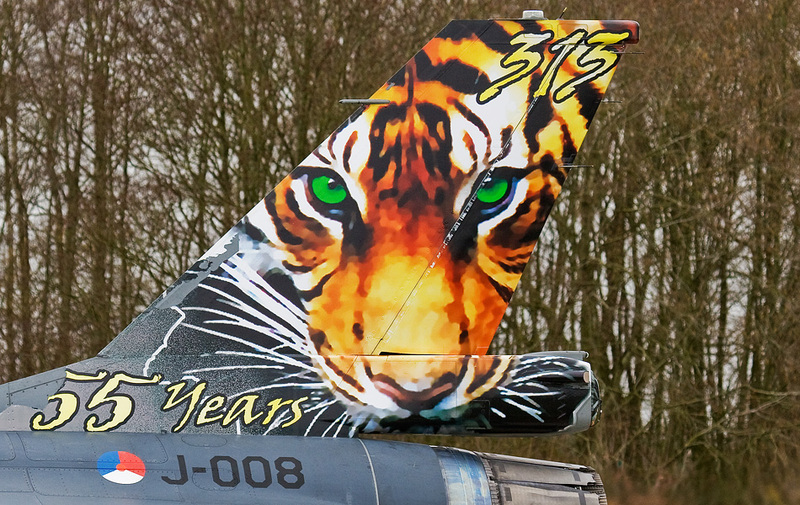 The second Viper which came in was the J-008 with the tiger paint on it's tail. 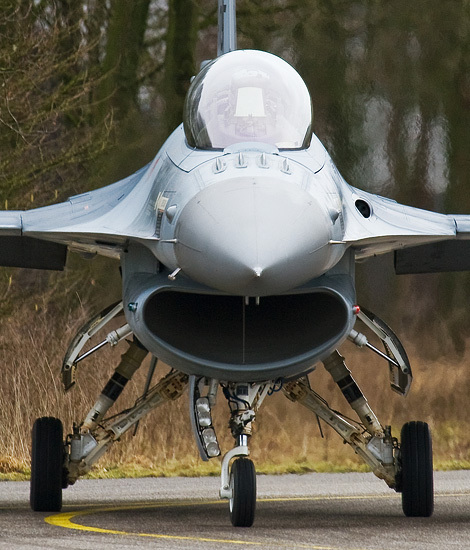 This Viper wears a yellow tiger paint on the left side of its tail and a white tiger on the right side. 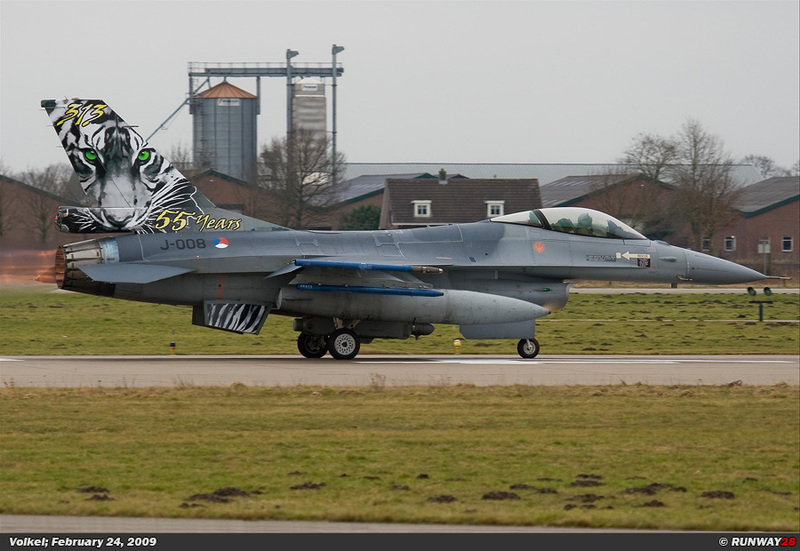 Both sides had to be captured on photo to get a total view of this nicely decorated F-16. 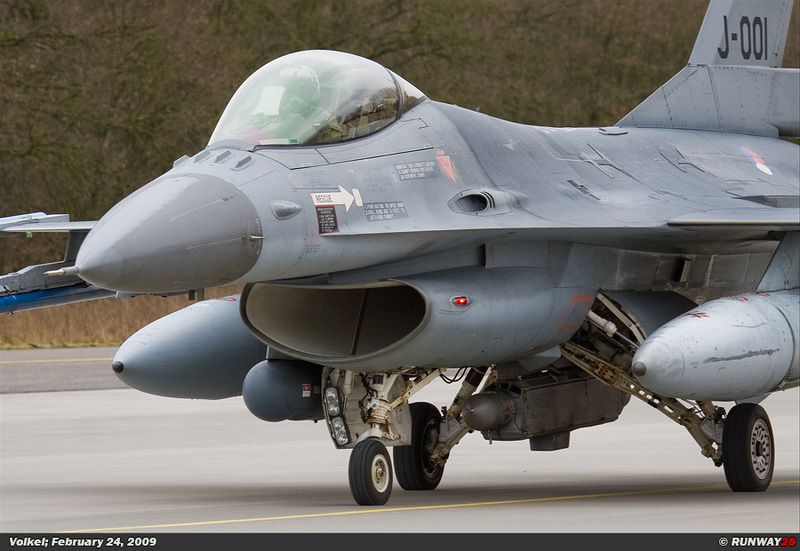 The last F-16's were heading back to Volkel at half past three; that was my trigger to travel home again. 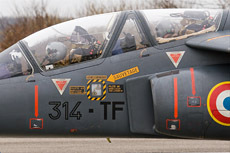 What should be a normal day at Volkel had an enjoyable twist with the visit of the French Alpha-Jets. 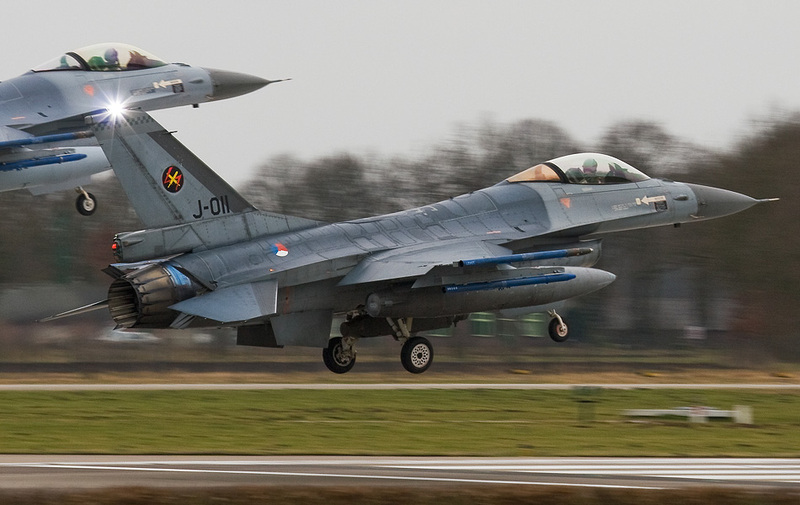 So I went home with a card full of nice pictures and I had a satisfied feeling when I came home after an enjoyable day at Volkel.